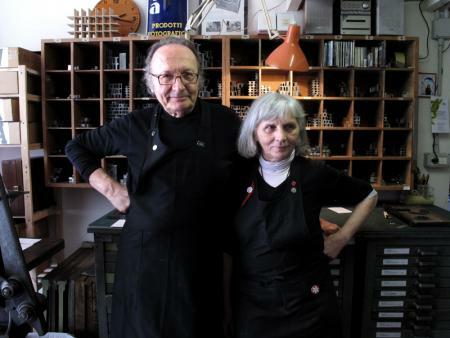 Run by Silvano & Gina, both retired graphic designers and former printers. Workshops are open to the public. Equipment: 1 Dell’Orto “Albion 1863” press, 1 Fag “CP-550” 35x50 proof press, 1 Saroglia 70x100 press, 1 Boston type 15x21 press, 1 Paolini 50x70 intaglio press. All the machines are manual fed.